Michelle Obama On Running For Office: Absolutely Not - Joe.My.God. No matter how much fans beg her, a career in politics is not Michelle Obama‘s path. 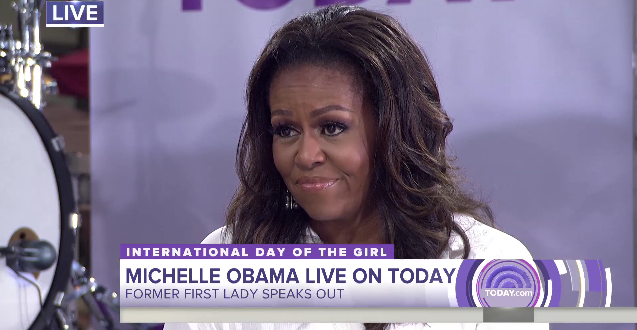 The former first lady, 54, addressed rumors that she’d run for office and other aspects of the often contentious current political climate during an appearance on Today in celebration of the International Day of the Girl, Thursday.